Alistair Schofield speaks to Ian Geden, Chief Executive of UK-based financial services company NFU Mutual, about customer service excellence. I recently spoke at a conference on customer service and was struck by two things; the first was the sincerity and enthusiasm with which many of the delegates described their vision of putting the customer ‘at the centre’ of their organisations, and secondly by the instinctive way in which those very same people blatantly ignored the customers when we ran a business simulation exercise. These were not bad people - they had a genuine desire to focus their organisation on providing great customer service, but the truth is that the hierarchical structures that are at the heart of most of our organisations are designed for the benefit of the management, not for the benefit of customers. I was interested to learn more about how some companies manage to overcome this dilemma and approached NFU Mutual. I am a customer of NFU Mutual and I turned to them because they are one of only a few companies that I would recommend to friends, having been genuinely delighted by the quality of their service on more than one occasion. 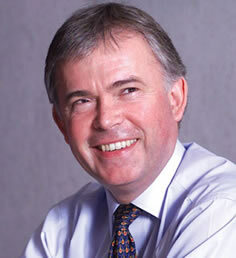 The following interview with NFU Mutual’s Chief Executive was conducted during October 2006. What do you see as the main drivers of customer service in NFU Mutual? While I can see the benefits of mutuality to customer service, I am not convinced that being a “plc” should be an obstacle to offering good service, would you agree? The critics of mutuality often suggest that it does not serve the best interests of customers as those companies are not exposed to the same reporting rigors as a plc. How would you respond to them? You spoke earlier about customer service being a ‘state of mind’. What do you do to create this attitude within the organisation? Although computer systems are important, service is about people. How do you ensure that the people deliver good service? So far you have talked mainly about employees, but a lot of your sales and service is delivered through Agents who are not directly employed by you. How do you ensure consistency of service in those circumstances? You have a reputation as someone who has driven a change in the culture of the organisation since becoming CEO. How easy have you found it to drive change within NFU Mutual? Good customer service can be expensive to provide. What evidence do you have that the high standards of service you provide are cost effective? The NFU Mutual was formed in 1910 by 7 Warwickshire farmers in order to provide a benefit to farmers joining the National Farmers Union, which had been formed 2 years earlier. Although the NFU Mutual retains close links with the National Farmers Union, it is an independent business that today offers life, pensions, investment and general insurance products to farmers and non-farmers alike. For further details visit www.nfumutual.co.uk or call 0800 316 4661 during office hours. * Persistency is a measurement of the staying quality of insurance policies. High persistency means that a high percentage of policies stay in force for the full term of the contract, while low persistency means that a high percentage of policies lapse before the end of the contacted period.